All the inspiration you need to leave the house and discover the Top 10 Things To Do In Melbourne For Kids. I get it. I really do. Finding the motivation to leave the house with kids in tow requires more effort than rolling a 5-tonne elephant in a wagon up a hill. But it is true, what they say - once you're out and adventuring with your kids, there's no better feeling. Well, at least until public humiliation in the form of toddler tantrums are thrown and your kid tells you that he refuses to walk another step, that's probably when you'll publicly proclaim - "I immediately regret this decision." 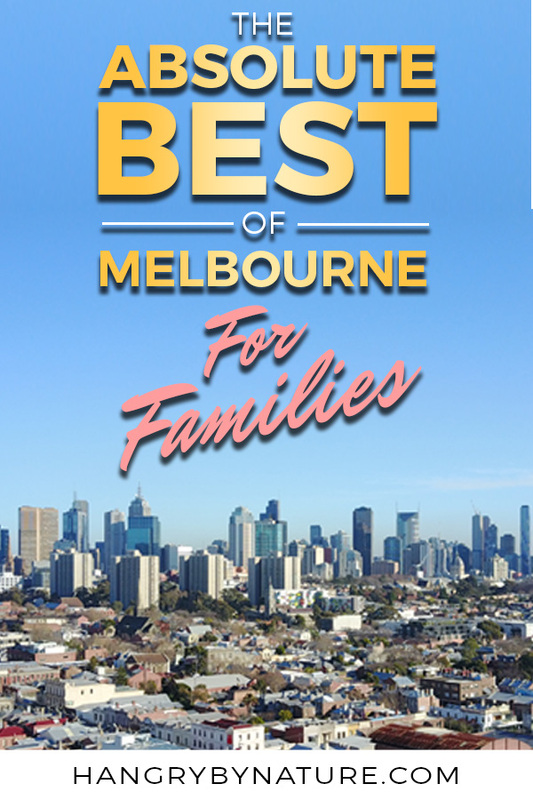 But, until then, folks, explore the beautiful city and find the best kids' activities in Melbourne - indoor and outdoor. For more on Melbourne, don't forget to take a look at my Ultimate Melbourne City Guide: Where To Eat, Sleep & Play. The Melbourne Museum is a natural and cultural history museum where you can learn all about the origins of Melbourne, our nation's indigenous history, as well as the natural history of the world. Admire dinosaur bones, observe real-life creepy spiders in action, immerse yourselves in the bug life and learn about beetles, butterflies, ants and much more. Buuuut, let's not get ahead of ourselves. 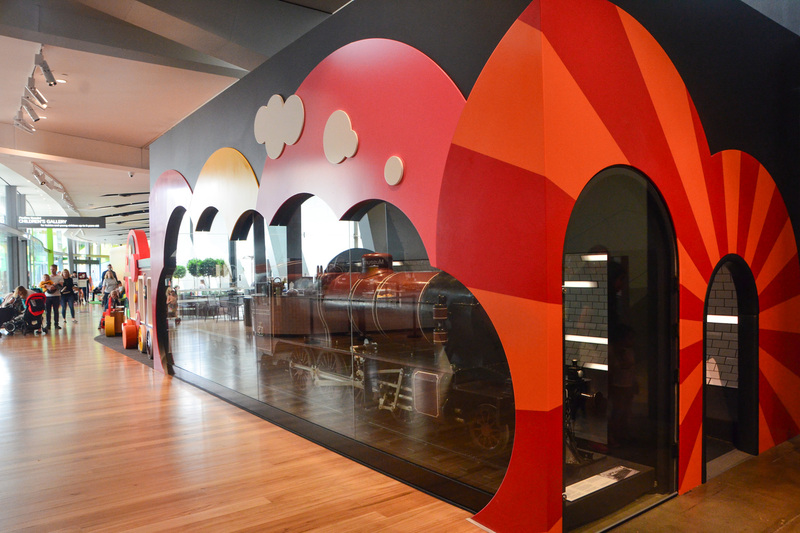 The best thing to do in Melbourne for kids is the Pauline Gandel Children's Gallery - and, if you haven't heard of it, you and the kiddos need to get onto it. Stat. You'll find this world class interactive and educational play space in the far west wing of the Melbourne Museum (entry is included in your ticket) with over 2000 square metres of indoor and outdoor fun. 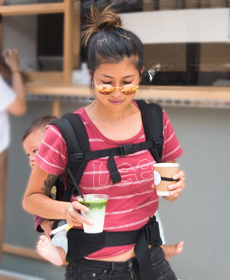 Mums, Dads, and tech savvy kids - I guarantee you, this place will take your 'gram feed to the next level. People won't know what hit 'em. Duck into the mind-blowing 3D trick art gallery - ArtVo and allow yourselves to go absolutely bonkers with the immersive artwork. Essentially, become a part of the art. Because art can be boring (if you're unsophisticated like me) if you don't know what you're looking at, but if you can become a part of the canvas, well, that makes life a whole lot more exciting. Still unsure of what this elusive ArtVo gallery is? No stress. I dedicated an entire article to this family fun spectacle. A visit to Melbourne isn't complete without a stroll along the glorious Southbank Promenade - and, there's no place with a more abundant choice of kids' activities in Melbourne than this lovely strip along the river. 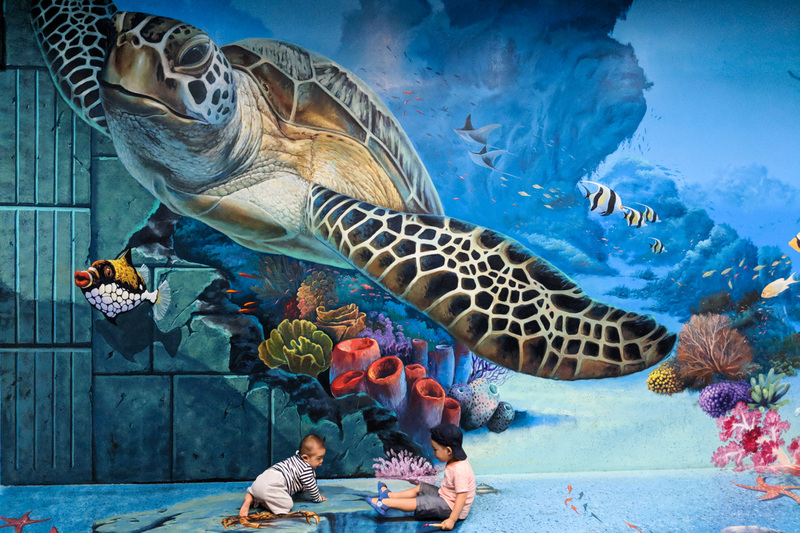 Drop into Sea Life Melbourne on a rainy day to view the world's only display of elephant sharks, sting rays a-plenty, a gigantic croc (as you would in Australia), and heaps more marine life. 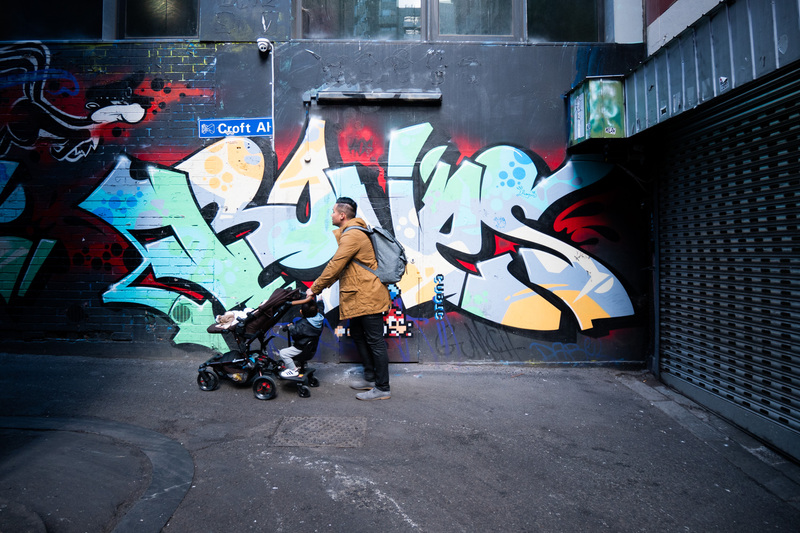 Or, spend a half day at the Crown Casino Complex and catch the latest blockbuster, grab a bite to eat in one of the many food courts, go for a tenpin bowl at Kingpin Bowling, but... do not forget to treat the little ones to quality time at Playtime. Legit the hippest arcade in Melbourne filled to the brim with the latest games, laser tag, and more. When Melbourne weather isn't being a PMSing uber-b*tch - plan for a day at the Melbourne Gardens to immerse yourself in the best of what Mother Nature has to offer. Start your visit at the Shrine of Remembrance, Melbourne's iconic memorial to those who served in the wars that plagued that nation's history. Don't miss the terrace up top for breathtaking views of the Melbourne skyline. Cross into the Royal Botanic Gardens and discover magnificent plant landscapes, iconic 19th Century architecture, and of course, Ian Potter Children's Garden - an outdoor wild play garden where kids can get their hands dirty climbing rocks and trees, roam through a magical bamboo forest, and observe animals species in the wetlands. 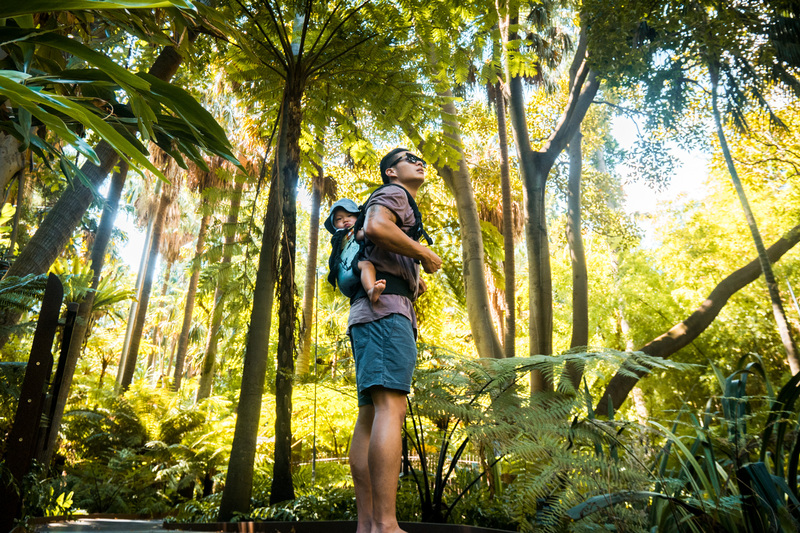 We conquered the entire gardens in a day with a baby and toddler, we had our 10-month old in a Tula carrier so he could vicariously experience the fun of jumping and climbing around in the Children's Garden through Andy, who was carrying him. I would 100% recommend bringing a carrier, as the Children's Garden isn't easily navigable with a stroller. Did you know that Sydney is also home to an Ian Potter Children's Garden? Find it in this epic list of Sydney's best attractions for kids. Look, childhood memories are either made from Disneyland, or, in Melbourne's case - the Legoland Discovery Centre. You'll find Melbourne's Legoland Discovery Centre inside the largest shopping centre in the southern hemisphere - Chadstone. AKA Chaddy. Chaddy, bruh. The ultimate indoor playground features Lego-themed rides, a 4D cinema, and five Lego Build & Play zones. You also get to view Melbourne's famed attractions in Lego form, from the Melbourne Star to Luna Park - no sight is missed. Where else do you expect to see Australian animals (that are not trying to attack you)? At the zoo.. or sanctuary, of course. Besides, you can't really say you've been to Australia until you've selfie'd with a koala or kangaroo, right? 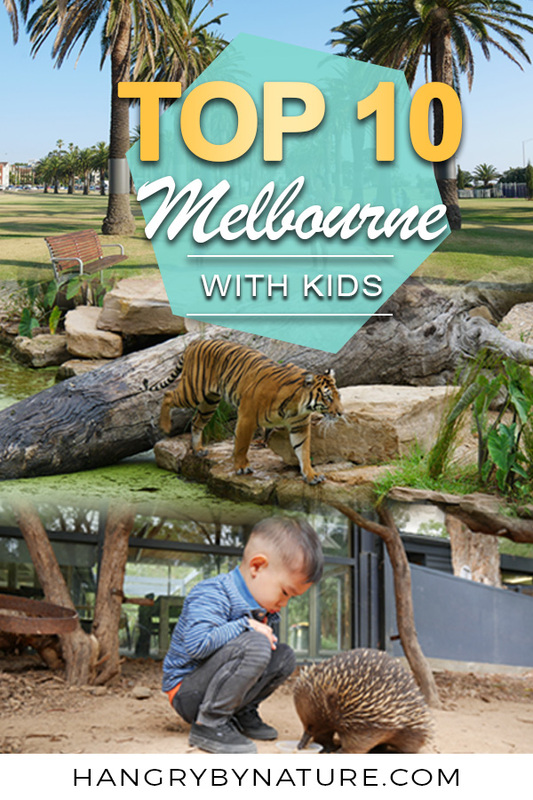 For an all-round experience and the closest one you'll find to the city is the Melbourne Zoo, where you'll find animal species from all corners of the world. If Africa seems a tad too distant for a safari tour, then you can't miss the Werribee Zoo, where you'll be hurled into the depths of the savannah grasslands to get up close and personal with rhinos, giraffes, zebras, and so much more. Last, but not least, head east towards the Yarra Valley where you'll find the Healesville Sanctuary. This is a real slice of the Aussie bush - experience close-up encounters with echidnas, kangaroos, koalas, wombats and heaps more Aussie wildlife. 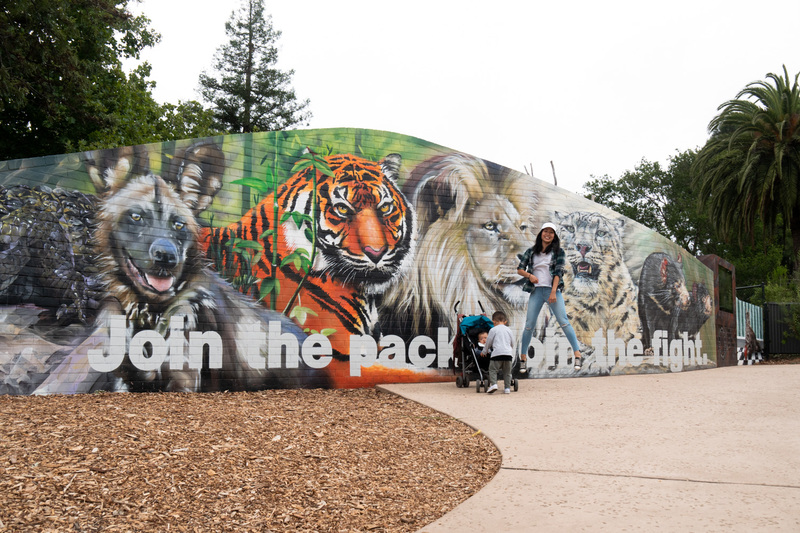 For more information on ticket prices, location & opening hours, visit Zoos Victoria. Can you tell that I'm more excited about visiting the zoo than the kids? 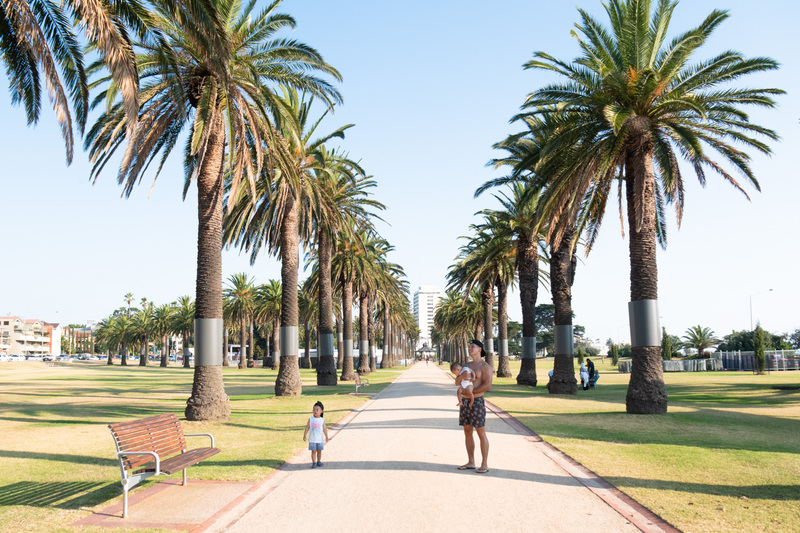 The perfect place for a weekend family outing - St Kilda certainly has some of the best family activities in Melbourne. It's kind of like the Venice Beach of Australia. Kinda. Bring sausages and lamb, and have a BBQ inside the Catani Gardens, where you'll find a fun outdoor playground for kids. If the temperature starts to soar, head over to the beach for a quick dip, stroll down the beautiful St Kilda pier and go on penguin watch, or simply watch skilled kitesurfers sway with the wind. But, by far, the best attraction in St Kilda for kids is... (drum rolls) Luna Park. This century-old theme park exudes old school carnival feels that will definitely bring back some childhood memories. 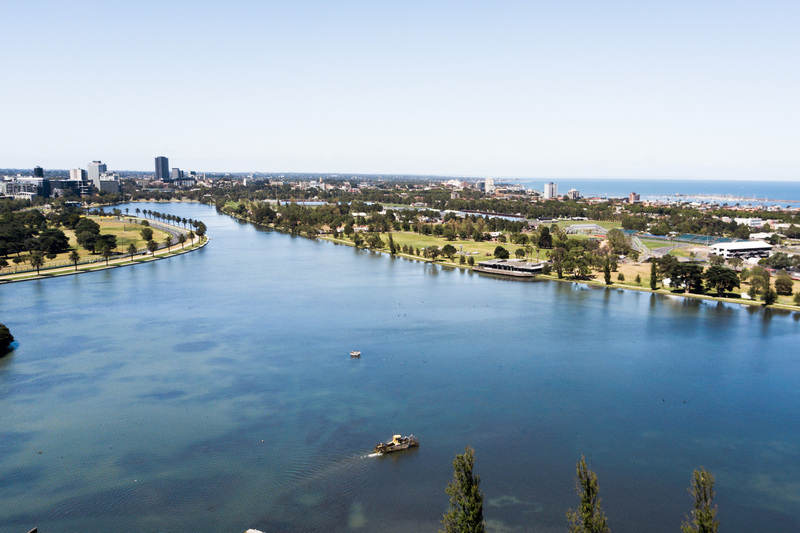 Only 3km outside of the Melbourne CBD, Albert Park Lake is a fabulous nature retreat for families, dog walkers, joggers, and cyclists - and, it is most famously known for hosting the annual Australian Grand Prix. Featuring a mega outdoor playground that resembles a medieval fortress, BBQ facilities, and paddle boat hire - kids will love getting out and about for this. If it's a scorcher of a day, you can always duck into the Melbourne Sports & Aquatic Centre for a dip in the pool and play on the slides. 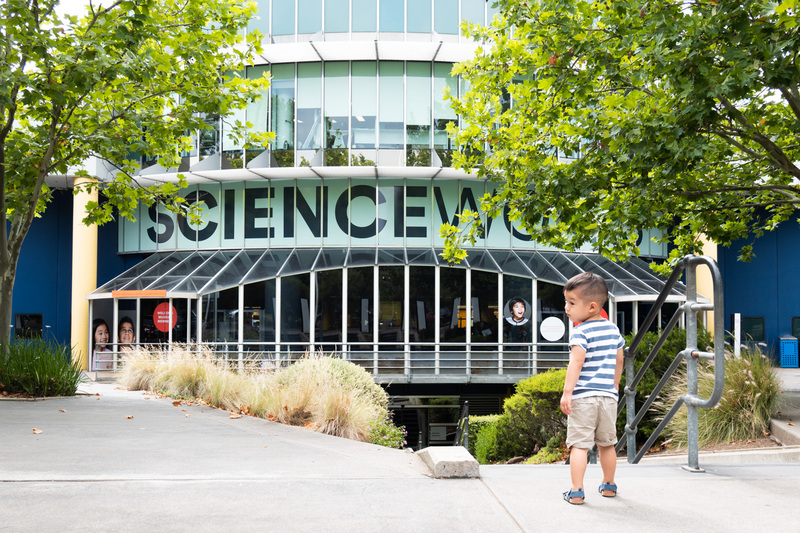 Get the whole fambam in on it, and learn something new at Scienceworks Melbourne. Head on over to Melbourne's westside to explore what future of technology holds, discover devices of the past and present, and let the kids run wild inside the 'Ground Up' exhibition where babies to 5-year olds can work together to solve 3D puzzles, build flying contraptions, stack blocks, and so much more. After your visit, continue onwards to Williamstown where you and the kids can playground hop all the way down the coastal trail, admire views of the city skyline, jump aboard the HMAS Castlemaine (an ex-WW2 warship), or go for a swim at Williamstown Beach. No. 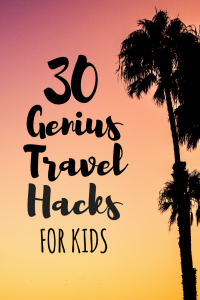 A kids' activities list is not complete without a visit to the local animal farm for some guinea pig petting action and cuddles with Shaun the Sheep. 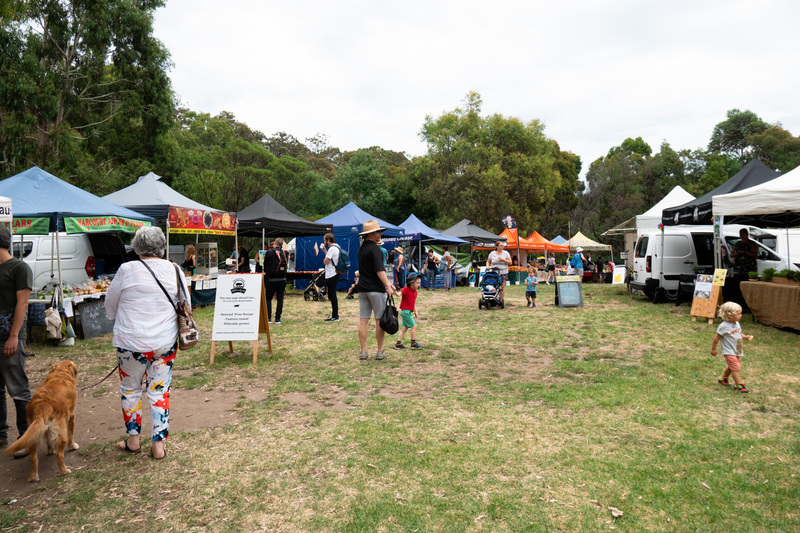 Visit every second Saturday of the month and enter the premises for a gold coin donation, which will give you access to the farm, as well as Melbourne's best farmer's market that takes place only once a month. Just so you know - this post may contain affiliate links, which means I earn a small commission (at no extra cost to you) if you purchase through these links to help keep Hangry By Nature running. Thanks for supporting the free content on this site (and my dry sense of humour).